If there is one thing China does not lack, it is engineers: every year, hundreds of thousands of them graduate from Chinese universities. But in May, Beijing Automotive Group (BAIC), the state-owned carmaker, held its first German recruitment fairs in Stuttgart, Munich and Aachen – to hire engineers. In the same month, Dongfeng Motor, another large Chinese carmaker, went to Munich looking for talent, following in the steps of state-owned car manufacturers such as SAIC Motor Corp and ambitious private carmakers such as Geely. “Increasing numbers of Chinese carmakers are recruiting overseas, in Detroit, Stuttgart and Nagoya,” says Ivo Naumann, head of consultants AlixPartners in Shanghai. Some seem intent on building a second Detroit in China, while others are building research and design operations overseas – including in Detroit itself. Earlier this year, state-owned Chang’an established the first research and development centre by a Chinese carmaker in the US car industry capital. Chang’an also has R&D centres in Italy, Japan and UK. This appetite for overseas talent springs from a deep frustration at the failure of domestic carmakers to compete effectively with the foreign carmakers who dominate the world’s largest car market, industry analysts say. “They need to gain market share,” says Namrita Chow at IHS Automotive in Shanghai. Beijing’s plan to build a strong indigenous car industry, starting in the early 1980s, has not worked out as planned. Foreign carmakers failed to transfer as much technology and knowhow to the indigenous partners they were forced to take in 50:50 joint ventures, leaving domestic carmakers with under 30 per cent of the local market. Last year, according to AlixPartners’ 2011 China Automotive Outlook report, Chinese carmakers such as Geely, state-owned Chery and BYD, which is backed by Warren Buffett, lost market share. Alix forecasts that by 2016 local carmakers will still have only 34 per cent of the market. Recently, Beijing has stepped up efforts to attack that foreign dominance through a range of policies including consolidation of the highly fragmented domestic car industry; pressuring multinational carmakers to develop true indigenous brands with their local joint venture partners; and allowing strategic purchases of foreign car assets, like the recent acquisition of Volvo by Geely. It is all part of Beijing’s much-touted plan to transform China into a country that designs and creates global brands – rather than merely assembling global products. But for that the local car industry needs talent: engineers and especially managers trained overseas and experienced in the global car industry. Zhang Junyi, automotive consultant at Roland Berger in Shanghai, says China especially lacks engineers with the experience to manage other engineers. “Sure there are many engineers in China,” says Bill Russo, of Synergistics auto consultancy in Beijing, former head of Chrysler in China. “But the talent pool is fairly shallow. Chinese companies are finding that there are many engineers who have been educated in the West, including overseas Chinese, who are anxious to work in such a dynamic place as China,” he says. “This allows them to fill the talent gap that they are unable to fill with domestic recruiting”. BAIC, which went to Germany targeting mostly Chinese job applicants, said it got more German applicants than expected but ended up hiring only one of them, along with just under 40 Chinese. But some Chinese carmakers say recruiting overseas also has its pitfalls. SAIC went to Detroit in the wake of the global financial crisis in 2008 to scoop up automotive engineers who had been made redundant. It found that the new recruits, many of them Chinese, had trouble settling in China, especially if they left families overseas. 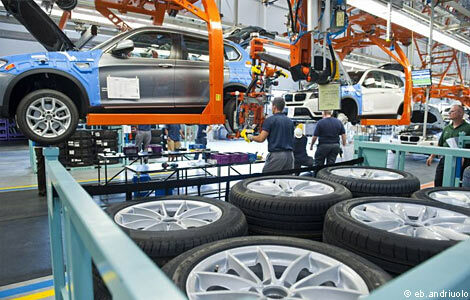 Industry insiders say SAIC believes it is worth the cost to have foreign talent work for the company in their home country: SAIC has a “centre of excellence” for engineering and design of MG and its own-brand Roewe cars in Birmingham at the site of the bankrupt MG Rover. Farther north in Nottingham, Chang’an last year opened an R&D centre that will employ 200. Car analysts say these firms plan to reverse the globalisation path followed by US and European carmakers, which started with R&D centres in their home countries and built factories overseas. Some Chinese firms are doing the opposite – greatly boosting costs in the short term. But companies such as SAIC think expensive overseas R&D will pay off in long-term profits and give Chinese firms a strong position in their homeland market, for the first time in history. South Korean police identified the 35-year-old only as Mr Bang. He killed himself in the southern province of Jeolla on March 10 by locking himself in his car and lighting a brazier of charcoal briquettes. The note he left was stark: “I am tormented by my debts.” His final words, an expression of personal suffering, reflect the troubles of the nation. Mr Bang’s case is not unusual. South Korea has one of the world’s highest suicide rates, worsening rapidly as the gulf widens between rich and poor in a faltering and uneven domestic economy. Suicide has doubled in the past decade to account for 31 in every 100,000 deaths. Such tales jar with the widespread view of South Korea as an economic success story. Internationally, it is praised in the same breath as Germany for the speed with which massive export-based conglomerates – called chaebol – have powered recovery from the crisis of 2008. Companies such as Samsung Electronics and Hyundai Motor posted record profits last year. Exports rose 29 per cent to $467bn, contributing to a 6.2 per cent rise in gross domestic product. Many of South Korea’s chaebol gained market share in the most recent economic downturn, faring much better than they did after the Asian crisis of 1997 when many had to be broken up. Boosted by a weak won and a strong yen, they have hammered Japanese competitors in manufacturing. However, national economic success disguises financial distress among small businesses and indebted householders that could undermine the recovery. Household debt has swollen to 146 per cent of income, topping the US’s 138 per cent at the outset of the subprime crisis. “The economy seems to be in good shape if we look at the headline figures but most ordinary people don’t feel it. The high suicide rates are partly due to the weak social safety net, unstable employment and high youth unemployment,” says Kim Sung-il from the Korea Association for Suicide Prevention. Duncan Wooldridge, an economist at UBS, says this polarisation is tangible in macroeconomic data that show “very strong exports versus weak domestic demand fundamentals”. Hyundai Motor’s 2010 sales neatly show the two-speed nature of the economy. While they leapt 18 per cent overseas, they slid 6 per cent at home. Chaebol are large family-run Korean businesses, often with interests across numerous sectors. Many were broken up after the Asian financial crisis of 1997-98 but sentimental and practical ties between units remain strong. Samsung Electronics, the world’s biggest technology company by sales, makes mobile phones, televisions and microchips and is diversifying into healthcare. Rival LG Electronics focuses on consumer electronics. Hyundai Motor is the world’s fifth-biggest carmaker when counted with its affiliate Kia Motors. Hyundai Motor is buying Hyundai Engineering & Construction to rebuild the old family empire. Hyundai Heavy Industries is the world’s biggest shipbuilder. South Korea has attracted strong foreign capital flows from investors betting on the broad strength of the economy. But these could tail off if domestic weaknesses bite harder. Indeed, as China becomes a more powerful competitor in manufactured goods, South Korea’s need to reduce its dependence on a dozen chaebol and strengthen the rest of the economy is a pressing policy challenge. This schism has leapt to the top of the political agenda. President Lee Myung-bak is beseeching chaebol to share their riches with the rest of the economy, particularly small and medium-sized business, which account for 90 per cent of jobs. So far, success has been slow in coming. Critics say that the chaebol are still squeezing their SME suppliers hard in order to cut costs. Shin Sang-hong of the Korea Federation of Small and Medium-sized Business says polarisation of the economy is accelerating and that it remains hard to change the mindset of the chaebol. “Many SMEs are having trouble staying afloat,” he says. South Koreans have grounds for scepticism when Lee Myung-bak, president, says he will improve their lot by “sharing growth” from the country’s export-based conglomerates across the wider economy. To many of his compatriots, the 69-year-old president epitomises the values of the chaebol. He joined Hyundai group in his early 20s and became chief executive of the engineering and construction division at the age of 35. Nicknamed “the bulldozer”, partly for his unilateral decision-making, he became such a celebrated tycoon that there was even a soap opera – Years of Ambition – made about him. To his opponents, this pedigree makes Mr Lee, a member of the conservative Grand National party who took office in 2008, an unlikely reformer. The president, however, insists the concept of shared growth is at the core of his mission to make South Korea a “fairer society”. Opposition lawmakers say this fairness campaign is nothing more than rhetoric. They point out that a promise in April last year to crack down on official corruption, particularly in the judiciary, led to no major arrests. Parliamentarians in the opposition Democratic party argued that the lack of action was typical, predicting from the outset that Korean corruption grows back “like a lizard’s tail”. It is also hard for Mr Lee to appear hard on corruption or the chaebol when he has pardoned many corporate bosses of serious financial crimes. In stage-managed public events, the executives have acknowledged that they should have co-operated more with small- and medium-sized enterprises. But on their own turf, they are dismissive of any notion that they should have to share their massive profits in a free market. Lee Kun-hee, chairman of Samsung, even questioned whether the government’s proposals hail from communist economic theory. Yoon Jeung-hyun, finance minister, told the Financial Times the approach had to be two-pronged. First, the government will allow more competition in the protected SME sector. Then, once SMEs become more efficient, the chaebol should then form partnerships with them rather than treating them only as contractors. Mr Yoon was thinking in particular of the chaebol-SME partnerships to provide repairs and maintenance for major manufacturers. “We are appealing to moral persuasion so that the large corporates might accept this new business culture. It has to move in line with SME restructuring, so it will take some time,” he says. While households in Britain and the US were busy reducing debts, South Korea’s rose 9 per cent last year. Seoul has played down the risk of such credit, saying strict rules on mortgages, which account for 45 per cent of the debt, make it safer than the US and the UK. But officials have become increasingly nervous. Last month, the central bank warned that houshold debt was threatening to undermine financial stability; a leading policymaker privately called it a “time bomb”. Regulators say controlling consumer debt is their main task for 2011 and promise an action plan in June. South Korea suffered a credit-card crisis in 2003 and had to bail out lenders. Erik Lueth of Royal Bank of Scotland says the financial system is not in so much peril today but warns that the danger to consumption and growth could be just as great. The weight of consumer debt means the central bank is wary about lifting interest rates from 3 per cent to combat inflation, which hit 4.2 per cent in April. Mr Lueth argues the Bank of Korea has to act before the situation becomes more grave. Defaults remain less than 1 per cent. “Household debt is no obstacle for interest rate hikes and, on the contrary, should be a key motivation. At current interest rate levels, households are likely to leverage up further,” he says. Servicing debt is bleeding household budgets. Disposable income is falling sharply and savings have plunged to less than 3 per cent of income from about 25 per cent in the early 1990s. A lunchtime walk through central Seoul reveals how people are shaving expenditure. Businesspeople increasingly head for convenience stores to slurp down a Won1,000 (90 cents) pot of noodles rather than buy a Won6,000 restaurant lunch. Convenience stores report noodle sales are up 30 per cent this year. Sales of packed lunches of kimbap – Korea’s version of sushi – rose 100 per cent last year. Other trends include increased metro usage, commuters sharing cars and surging demand for bedsits. The income gap is widening sharply, with the top 10 per cent of society earning 4.73 times more than the bottom 10 per cent, up from a multiple of 3.64 times in 1995. In Denmark, Sweden and Switzerland, the multiple is close to three times. In response to this growing polarisation, President Lee says his priority is “shared growth” to narrow the gap between chaebol and SMEs. In addition to pressuring SMEs on cost, chaebol are notorious for buying out promising ones, if only to strip out talent and snuff out competition. But the plans have sparked scorn from both chaebol and economists. This year, Korea’s most important businessman, Lee Kun-hee, the Delphic chairman of Samsung, levelled a rare swipe at the government, attacking its latest concept: profit-sharing. Mr Lee suggested this reeked of socialism. “I have studied economics and grew up in a family of entrepreneurs but I have never heard of the concept of profit-sharing,” he said. SME managers are sceptical the government will make the chaebol more accountable. The president has shown his willingness to put the chaebol above the law by pardoning chairmen – including Samsung’s Mr Lee – convicted of serious financial crimes. But economists stress the government appears to be bolstering its tradition of protecting SMEs politically rather than increasing efficiency by allowing bad SMEs to fail. Its proposals do not include painful reforms for the heavily protected sector. Foreign bankers in Seoul regularly complain of intense political pressure to extend loans to failing SMEs. The government is also failing to reduce the burden of education spending. South Korea spends more per head on education than any other country and couples burn through about 30 per cent of income on private night schools dedicated to getting children through state exams. Youth unemployment is soaring as 407 universities churn out an overabundance of unemployable graduates. President Lee has vowed to plug this financial drain by extending vocational education. He proposes a system of schools based on the German guild system, which he hopes will steer parents away from an expensive obsession with getting their children into university. So far, however, he has only created 21. South Korea has proved adept at bouncing back after crises, like those in 1997 and 2003, but then shied away from any major structural reforms that would build up the SME sector to challenge Japanese middle-order, high-precision engineering companies. It means the country is highly prone to cyclical shocks with little depth in domestic consumption to fall back on. Seoul’s most controversial sign of favouring the chaebol over smaller, domestically focused businesses is its tendency to intervene in the currency market. While international critics, particularly Japanese rivals, say the country is keeping the won low for the chaebol, Seoul insists it simply smoothes volatility. Kenneth Grange is ubiquitous. The day before I went to talk to him I’d taken a trip on one of the trains he designed and had got into one of the London taxi cabs he designed. I shaved with one of his razors, opened a door using one of his handles and waited for a bus at one of his bus shelters. No other designer has had the same impact on the London environment. Yet his name will be largely unfamiliar, even to many design aficionados, and the forthcoming show at London’s Design Museum will be his first major exhibition for almost 30 years. Now 82, Grange was born in London to what he describes as “an ordinary background, flowers on the wallpaper, you know the kind of the thing.” At school he showed a talent for drawing and worked first as a scene painter for the fledgling BBC TV studios. He then studied at the Willesden School of Art and began working for architects, notably with Jack Howe and Bronek Katz. From bits and pieces of street furniture and fittings designed while with architects he went on to become a pioneering product designer, a field which – although established in the US and Germany – was only just emerging in Britain. Grange exemplifies a type of industrial designer synonymous with an era of faith in modernism, a passionately held conviction that design could be used to make life and society better. If the designer today is presented by the PR machine as an artist and superstar, Grange represents an era when it was corporations rather than galleries who turned to successful designers. Grange is sitting with me in his Hampstead house, one of the fruits of his success in the 1960s when he was the most efficacious industrial designer in the country and a partner in the pioneering multi-disciplinary design agency Pentagram. We’re sitting at a big table which serves for dining, display, drawing, even model-making. There’s a workshop outside as well, a place of meticulous craft in which every tool has its rigorously designated place. But for now, Grange is surrounded by papers and photos from a full career, trying to hone down a representative sample for the exhibition. Does this mountain of stuff, I wonder, make him reassess his career? “It’s a bit like looking at a family photo album,” he says. “I keep seeing things I’ve forgotten. I’m pleased, perhaps a little disappointed at some moments, but I was lucky to work on a lot of exciting things. I got into this trade [industrial design] so early that clients still had no experience of employing anyone like me and so I was, by default, pushing at the boundaries. One job from 1968 exemplifies Grange’s particular combination of hard work, initiative, charm and chutzpah. “I’d been approached by British Rail to design a livery for a new train. It was a bloody ugly thing, it looked like a barrel with a port-hole at the front, but I’d learned never to say no to a commission. I’d done some bits and pieces for British Rail by then already – I had a bit of a track record. So, without permission, we started working on a new design, on what a train could be. We tested models in a wind tunnel (slipping the lab technicians at Imperial College a fiver) and we took along the new models, along with all the wind-tunnel information to British Rail.” It’s hard to imagine a designer today being commissioned for a paint job and coming in with a new train, but that’s what happened. And he got the job. The InterCity 125 became the archetypal high-speed locomotive, its sleek nose and simple lines still influential today, over 40 years since it was designed. Many of Kenneth Grange’s creations are so integral to British life that we hardly notice them as pieces of self-conscious “design” – which may, of course, be the highest compliment one can pay to an aesthetically pleasing object or machine whose form and function mesh seamlessly. The pleasing lines of British Rail’s 125 train (1968), the London taxi updated in 1997, sleek lamps, irons, washing machines, cameras and chairs for well-known manufacturers are all part of his repertoire. The second, including such routine service work as care assistants and home health aids, retail sales clerks and food preparers, is less good. Pay for such jobs is roughly half that of manufacturing jobs. America’s job market is barely treading water. The rate of unemployment might have dropped below 9 per cent, but jobless claims have risen in recent months. This Friday’s non-farm payroll figures are expected to show slower growth than in previous months, while the average time a worker stays unemployed is now 39 weeks – the longest on record. Some commentators – such as Christina Romer, who formerly chaired President Barack Obama’s council of economic advisers, and economist Paul Krugman – maintain that the problem is one of demand. They note unemployment is high across many occupations, and argue for increased investment and aid to local and state governments. Others reply that the problem will fix itself as growth picks up. But a closer look suggests neither analysis is right. Yes, we face a cyclical recession, but there is a structural shift too, which has left many workers high and dry. This process isn’t new, of course. As the US economy has evolved, its job make-up has shifted too. By the middle of the 19th century some 60 per cent of the US workforce had been absorbed into industrial jobs, but those were often low-wage, long-day, dirty and dangerous. It wasn’t until a mixture of the New Deal, labour unions and postwar prosperity that these blue-collar jobs were transformed from bad to good. America and other advanced nations are now in the early throes of a new jobs transformation, which requires an equally imaginative response. It creates two new distinct categories of jobs. The first includes millions of the best jobs America has ever seen: high-pay, high-skill jobs in professional and creative fields. The second, including such routine service work as care assistants and home health aids, retail sales clerks and food preparers, is less good. Pay for such jobs is roughly half that of manufacturing jobs. The result is as simple as it is tragic: a bifurcation of the job market and an increasingly unequal and polarised society. Once we see this it becomes clear that neither a counter-cyclical approach to job creation, nor ideas of educating more people for higher-paying jobs, will work. The numbers don’t add up: some 45 per cent of the workforce are already toiling in low-wage service jobs that will remain so even when growth returns. These are also the fastest-growing jobs: the US will add a projected 7m more in the coming decade. A successful jobs strategy must, therefore, focus on upgrading this entire job category. Thankfully much service work is not vulnerable to offshoring or automation: we need humans to care for our children and ageing parents, to cut our hair and steam our lattes. But we also need to see service work as a potential source of future profit and innovation. Some private sector organisations, such as the online retailer Zappos, show how this might be done, with their focus on helping service workers move through an internal career ladder from entry ranks to managers of divisions. These companies view workers as a potential source of innovation, and build a culture and community that delivers better services to customers. Others need to learn from them. Instead of just focusing on training to push some into higher paid work, Mr Obama should make upgrading service jobs the next step in repairing America’s broken job machine. A national initiative, bringing together “service innovators” – such as Zappos, Starbucks or outdoor clothing retailer REI – would be a good start. Most services companies are small, however, so help is also needed to partner such organisations with universities, community colleges and industry groups. The administration should also consider using tax incentives to nudge such companies to upgrade service jobs. Some of this may mean all of us paying a little more to those who cut our hair and sell us our clothes. But this is exactly what we did a half century ago to spur recovery by paying more to the workers who make our cars and appliances and build our homes. But these costs are modest, and unlikely to derail any recovery. The payoffs, both in terms of productivity gains and an upgraded American jobs machine in which all workers are given a fair chance, would surely be worth it. Last November, Mike Romano went to BMW’s website and, with a few clicks of a mouse, assembled his own car. Mr Romano, a salami factory production manager who lives in Lodi, New Jersey, speaks lovingly of the features he chose for his X3 compact sport utility vehicle: a titanium silver exterior, with dark Vienna wood trim and chestnut-coloured leather inside. The car arrived built to order from BMW’s factory in Spartanburg, South Carolina, in mid-January. But the high point of the experience – which Mr Romano still talks about – was the film he received in the mail . It showed the SUV at various points on the line, from the installation of its “moon-roof” and wiring to the attachment of its trademark twin-kidney front-end grille. BMW has long built cars to order for its German customers – who are closer to its main plants – as have its premium competitors Mercedes-Benz and Audi, although none of them yet offers the added perk of a film of the car being built. But in the US, where Henry Ford famously made the Model T only in black for a decade, there is a longer tradition of buying cars from what the dealer has available. Even BMW’s high-luxury Rolls-Royce brand, known for its handcrafted, bespoke limousines that sell for £200,000-£300,000 and more, has US dealers ordering cars ahead to allow for a bigger number of impulse purchases from the showroom floor. Now BMW is seeking to wean Americans off this culture of instant gratification with its “Dream it. Build it. Drive it” programme, timed to co­incide with the recent production launch in Spartanburg of the X3. The Munich carmaker is pushing the concept hard. In December, BMW invited Martha Stewart, the US television lifestyle guru, to design her own X3 on air, using its “Build Your Own” design tool. Ms Stewart chose a sparkling bronze metallic exterior for the car and sand beige Nevada leather seats, with “fineline” wood trim – one of 70m possible configurations BMW says customers can choose for the car. While BMW’s films of its X3s being “born” take custom-built carmaking to new levels, the premium end of the industry has been building cars to order for several years. As part of their service, top-end marques – not just the German brands but Rolls-Royce and Aston Martin too – typically offer a full programme to customers picking up their cars, including factory tours. Volkswagen’s famous “glass factory” in Dresden crafts the brand’s top-end Phaeton before the eyes of visitors. VW’s Audi brand offers people picking up cars from its plant in Ingolstadt, Bavaria, a full programme, including a factory tour and a visit to the company museum. Rolls-Royce says that an increasing number of customers visit its plant at Goodwood, England, and some come several times during the production process to see their cars being built. Behind the high-profile product placement, BMW has some less glamorous but very powerful back-office commercial considerations relating to inventory management as it prods more Americans to customise their own cars. Building cars to order is easier than ever these days, thanks to the high degree of flexibility at automobile plants – not just BMW’s – which can cope with seemingly endless variety. Any state-of-the-art car factory can roll vehicles with sharply different vehicle specifications – or, increasingly, entirely different models – down the same production line. While BMW does not charge extra for building to order, the company says customers who use it tend to order more extras on their vehicles, and thus pay more overall. Mr Romano went for optional features including a premium navigation package, and paid $49,000 for his car. But BMW’s Spartanburg factory makes only the brand’s larger “X” SUVs, and cannot cope quickly with an off-the-cuff order for, say, a 3-Series saloon, made only in Germany. To cater to US customers who want personalised vehicles that the brand does not build locally, BMW has since 2009 offered a “virtual” build-to-order service via more efficient management of its pipeline of cars in stock. He learnt the difficulty of anticipating what customers might want at Rolls-Royce, which makes just a few cars a day and thus faces even higher risks relating to inventory. BMW and its German premium rivals are reporting record sales but they also fight hard for customers. In this context, the company’s build-to-order film is a powerful tool in its arsenal. “Watch while the German-engineered powertrain is married to the body of your vehicle,” an assertive male voice says on the clip. The script is standard but the films do, in fact, feature original footage of individual cars being made. Conrad Meyer, a credit risk manager at an investment bank and another early customer of BMW’s new US build-to-order service, says he recently chose the X3 over Audi’s rival Q5 because he could get it sooner. Mr Romano, also the proud owner of a new customised X3, liked the service so much that he recommended it to two friends who have since ordered cars. He says he would not go back to buying off the lot. “You wouldn’t have the pleasure of saying: ‘This is the car I built,’” he says. Singapore's first clubhouse specifically for hackers was set up in late 2009. It hosts meetings, talks and activities. If you need access to a laser cutter ($40 per half hour), or some model-making advice, the workshop, named after the tiny, delicate trees used in architects' models, is the place to go to. This is the rallying cry of a growing number of DIY enthusiasts here who put hands and mind together to make robots, phone chargers or 3-D printers from scratch. Others plug into the challenge of solving problems by writing software applications in 24-hour group hackathons. Here, hacking refers not to cybercrime but white-hat hacking - tapping into programming smarts to create legal applications. Engineer Limor Fried, founder of DIY electronics kit company Adafruit, explained to Wired magazine recently that the DIY movement has taken off because of easy access to cheap technology and clear instructions online. She noted too that society is at a 'sweet spot' where people want to make things for themselves and their friends. And in this pursuit of forming and transforming, throwing things away is out but repairing and reconfiguring them is in. 'I end up hogging stuff and my wife gets fed up,' said engineer Benjamin Khoo, 34, whose tiny storeroom in his flat is filled with spare parts. Tinkering with spare parts may be a spare-time activity but it could also yield new commercially valuable technologies. 'Yes, it is a hobby, but in the same way that ham radio was a hobby - people were just experimenting with packet radio. But that led to Wi-Fi and cellphones,' said Ms Fried in an interview with the magazine last month. Locally, tech consultant Adrianna Tan, 25, believes Singapore has a critical mass of people dabbling in tech projects - at least software ones. Singapore benefits from its location too, she added - it is a good base from which to reach South-east and East Asia. For example, Facebook co-founder Eduardo Saverin and Mr Derek Sivers, founder of indie-music site CD Baby, are based here and add to the local tech community. Hardware tinkerers based here have produced a range of items from things as simple as a toothbrush holder to a standing fan made by cobbling together five large computer fans. In 2008, a team of robotics enthusiasts even got to the final round of a defence robotics competition here, fielding their $8,000 homemade robot against university teams with $300,000 machines. Elsewhere, the DIY movement is also on a roll. The US magazine Make, launched in 2005, began organising a DIY event called Maker Faire in 2006, and this has since spread to Britain and several US cities. Here, hackathons have been held at Nanyang Technological University. The SuperHappyDevHouse 'hackfest' and party, an event that started in Silicon Valley, will be held on May 14 at multipurpose space The Pigeonhole on Duxton Road. DIY enthusiasts are also flocking to Hackerspace, a clubhouse for tinkerers and hackers in a Bussorah Street shophouse. Since its inception in late 2009, Hackerspace now has a 300-strong mailing list and has grown from an initial 24 members to more than 60. They pay between $32 and $512 for using the space, from a casual basis to permanent access seven days a week. But the path to DIY nirvana in Singapore is not without some potholes. The country does not have readily available tooling shops to custom-make parts and few homes have a garage space to tinker in. Shipping in parts from overseas is also prohibitively expensive for some. Still, the biggest obstacle to the DIY movement's growth here is the local attitude to consumption. Vicenza, the northern Italian art town, is learning that what China’s industrial might takes away with one hand, its rapacious consumers give back with the other. The city, once the world’s gold manufacturing capital, has been devastated by record gold prices and competition from cheaper Chinese manufacturers. Where 10 years ago Vicenza was home to 1,300 gold jewellery manufacturers, there are now 600. In some areas of town unemployment among women, who have borne the brunt of redundancies, is as high as 90 percent. But while Vicenza’s gold workers lose their jobs to cheaper labour in China and shutter their laboratori, another Italian industry is rushing to hire them. Makers of luxury leather handbags, costing as much as €75,000 (£108,000) each, are struggling to satisfy Chinese demand. Their new employers include Bottega Veneta, the luxury goods group owned by France’s PPR group. Bottega Veneta is based in Vicenza, and the signature woven intreccio infilato technique with which it designs handbags is traditional to the surrounding region, Veneto. Mr Bizzarri, with the agreement of Luca Zaia, president of the Veneto region, has set up a co-operative employing women formerly employed in Vicenza’s gold industry and retraining them as leather weavers for Bottega Veneta. “[The co-operative] has given a depressed zone the impetus to start up a business and the women the opportunity to look to their future with hope,” said Mr Zaia. With another co-operative planned, the group is on the way to doubling its production capacity. At present, the 100 white-coated artisans in Bottega Veneta’s Vicenza factory cannot weave fast enough to keep up with sales over the past two years, as demand from emerging markets surges. Sales of luxury goods are expected to rise 8 per cent annually until 2015 on the back of demand from consumers in China, Brazil, Mexico and Russia. Bottega Veneta has been a niche brand for PPR, and a smaller sibling to big sister brand Gucci. Customers are willing to pay a handsome premium for the company’s logo-free but costly products. Part of the allure is that production is limited. Goods are 80 per cent made by hand and produced only in Veneto. “Made in Italy is an absolute must for us,” Mr Bizzarri said.